You must have heard that China is lifting its 13 year ban on consoles. What may seem relatively insignificant news to many is probably the major deciding factor in the current console war. Risking flames we venture into the War zone that is PS4 Vs Xbox One. No matter which ship you are from, thanks to China, the end is nigh. 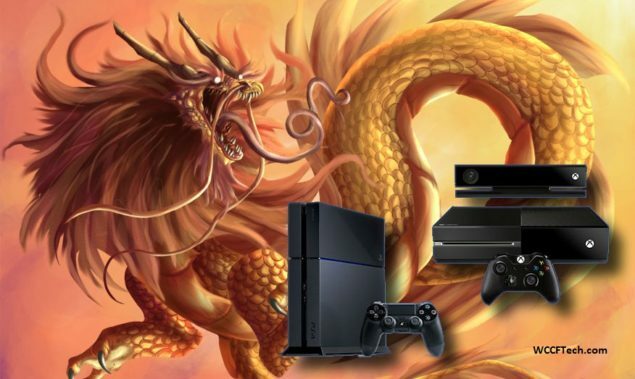 China’s Console Ban Lift will probably be the deciding factor for PS4 and Xbox One Success. First lets put things into perspective. Here are Xbox 360 and PS3 Sales worldwide as of this instance (Official Statements). Now imagine for instance if 10% of China had bought consoles. Get the picture? Granted that realistically speaking the sales should be <5% of China, even that is the same amount as the PS3 /Xbox 360 sales of the Entire World! I am sorry but i need to repeat this, Only 5% sales in China equal the sales of the entire world! So basically even if say (its just an example) the Xbox One sells approximately half the units world wide as compared to the PS4. But in China, the Xbox One takes the lead gaining most of the market with some marketing strategy; the Xbox One would win. With the Chinese Market finally open both giants will race to occupy something that can rival the sales of the Entire World. This is something that either Microsoft or Sony cannot even imagine to miss. They miss this, they lose. Its simple as that. The current console market is basically divided into two categories now: China and the Rest of Us. Ofcourse the Worldwide category is further divided into hundreds of facets but the Chinese market is one solid chunk of opportunity. How this plays out of course no one can predict, Xbox One has recently been gaining somewhat bad PR but if they successfully cast their monopoly over the Chinese Market their past troubles will become laughable in size. We have hints that Microsoft is already moving swiftly into action: “The news comes after Microsoft announced this week an investment of $237 million into a joint venture with Chinese TV company BesTV in the free-trade zone to create “family games and related services.” Of one thing there is absolutely no doubt: The Chinese Market will break or make either company.